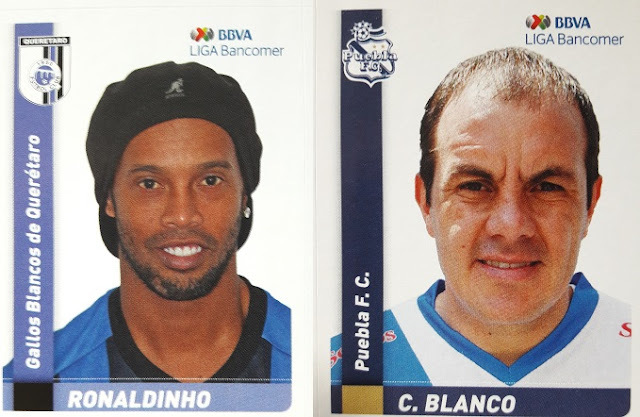 In 2014 Panini released an album of the Mexican Liga Bancomer that covers only the Apertura tournament. In fact, a second album was issued in early 2015 for the Clausura tournament. This collection opens with the table of contents and an introduction with two shining stickers: the trophy and the official ball of Liga Bancomer. Then the 18 clubs of Liga Bancomer are shown in alphabetical order. Each team is displaced over two pages with a total of 17 stickers: the shining club badge and 16 players. 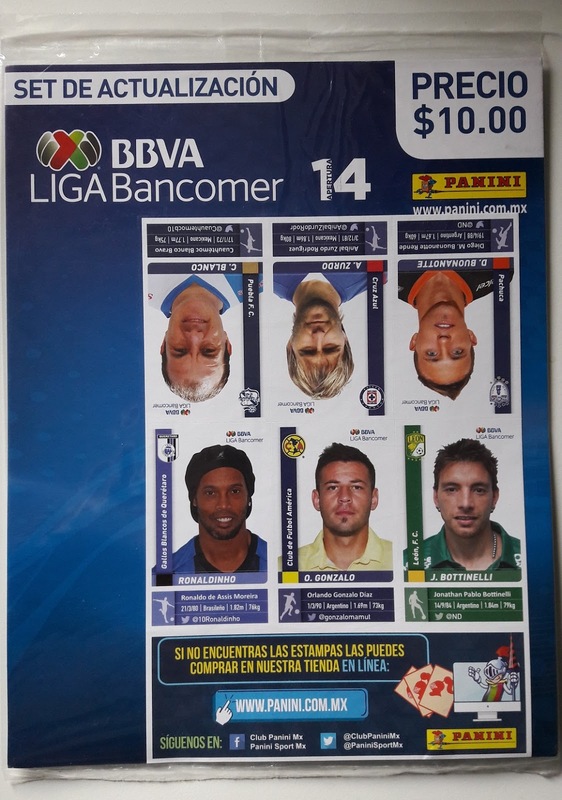 The 18 mascots of the Liga Bancomer clubs are included with 18 corresponding shining stickers in a double page just before the Liga Ascenso clubs. The second division (Liga Ascenso) is then introduced with a page including the shining sticker of the trophy. On each page there are two clubs with three stickers per club: the club badge (shining sticker) and two stickers to compose the team photo. The tournament Apertura 2014 is memorable because Ronaldinho joined the Mexican league with club Querétaro. Due to the late transfer, Ronaldinho was not included in the album. However, Panini released an update set with six new stickers, including Ronaldinho with his new shirt. There is not a physical place for these stickers on the album, therefore they can be kept separately.